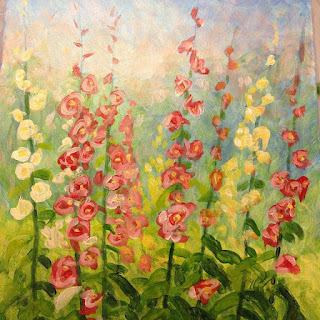 Join us for another "Fun with Wine and Paint Class" on April 23rd, from 2 to 5. I will be teaching how to paint this beautiful painting of a few Hollyhocks. All instruction, and materials are included. We will also be serving some wine, sodas, and snacks.